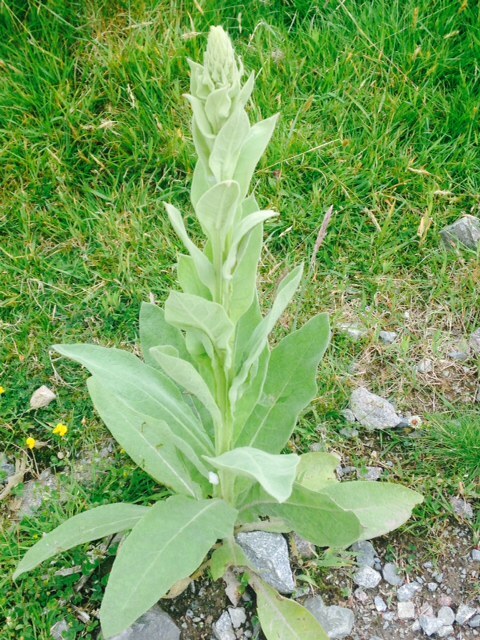 Spotted this growing just as you take “The Cut” down from the top road on Slieve Gullion, think it is Great Mullein, but open to correction! If correctly identified it is a biennial, during its first year it grows its velvety grey- green basal leaves and in the second year the spike of yellow flowers rises up and can reach to almost 2 metres. The stalk has alternate leaves that clasp the stem, an arrangement that directs rainwater down the stem to the roots. From June to September, five-petaled yellow flowers 1/4 to 1 inch across bloom randomly in the dense, club-shaped terminal cluster. The three upper stamens, which are short and woolly, contain a sap that lures insects to the plant. The two lower stamens, which are longer and smooth, produce the pollen that fertilizes the flower. The name “mullein” probably comes from the Latin word mollis, meaning soft, referring to the plant’s woolly stem and leaves. It is also known as “Flannel Flower” and “Woollen Blanket Herb” because of its downy leaves. 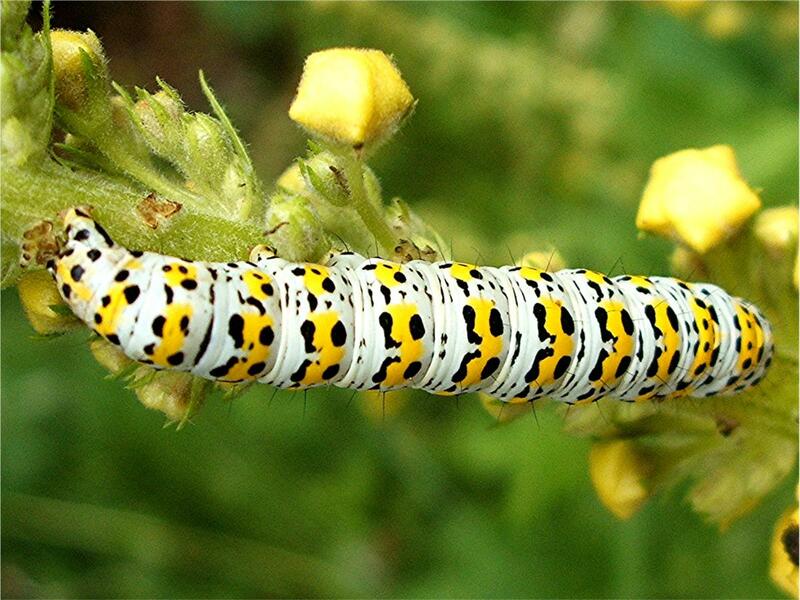 The plant leaves are food for the mullein moth caterpillar and the seed heads are wintering habitat for ladybirds.